Paraguayans have a long history migrating to North America from Paraguay for various reasons but many were young people that wanted educational opportunities to get professional knowledge, skills and to have better jobs. Additionally, some of the immigrants arrived for political reasons or to escape civil riots. They often assimilate within the larger Hispanic community maintaining speaking Spanish as their first language. However, Paraguayan Spanish is a version of the Spanish language spoken in Paraguay. 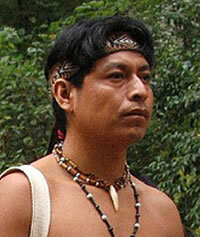 The Guarani language is co-official with Spanish in Paraguay, and most Paraguayans speak both languages. A large majority of Paraguayans are Roman Catholic. A small percentage are evangelical Christians. That existing evangelical churches will recognize that Paraguayans are in need of hearing a message of grace through Jesus Christ. That evangelical Spanish speakers in North America will intentionally engage Paraguayans with the gospel message.